The most popular vehicles in America are trucks and SUVs, and a number of new entries into these burgeoning segments premiered during press preview days at the annual North American International Auto Show in Detroit. 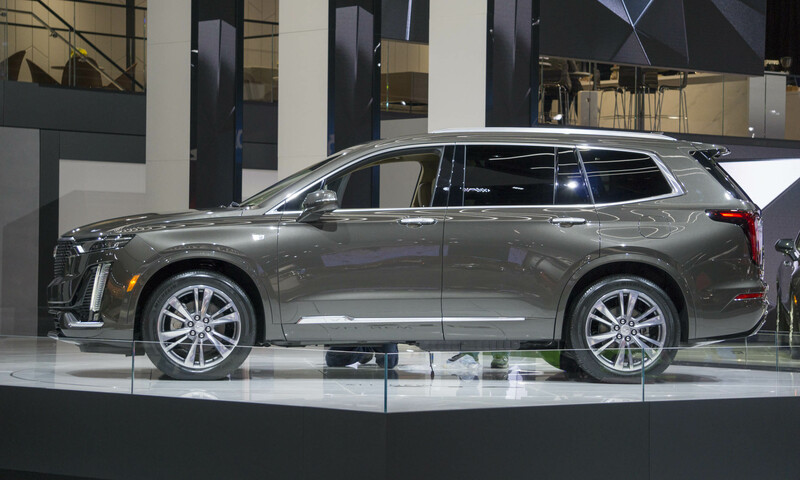 Vehicles ranging from the luxurious Cadillac XT6 to the extremely capable Ram Heavy Duty to the unique QX Inspiration concept from Infiniti made world debuts in the Motor City. 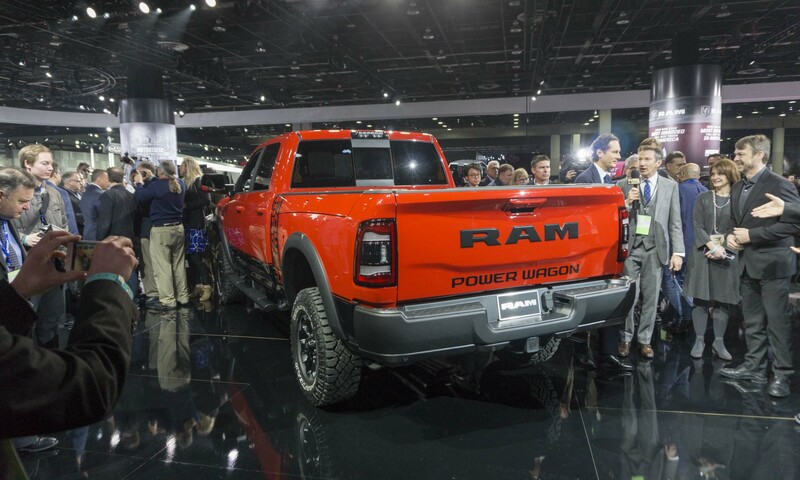 Here’s a look at the new trucks and SUVs that created a splash at the 2019 North American International Auto Show. The luxury brand of General Motors previously stated that it would be introducing an all-new model every six months for the next several years. In keeping with that schedule, Cadillac debuted the all-new XT6 at this year’s Detroit Auto Show. 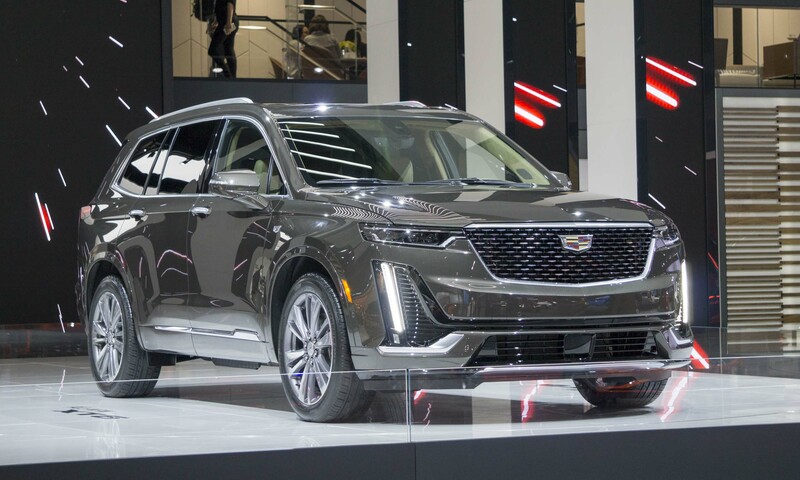 “The first-ever Cadillac XT6 delivers a compelling blend of spaciousness, safety and convenience features for customers who thrive on doing it all,” said Steve Carlisle, Cadillac president. This all-new 3-row crossover carries occupants in luxurious surroundings thanks to features such as Cadillac’s first Bose Performance Series sound system with 14 speakers, available semi-aniline premium leather seating, automatic heated and ventilated front- and second-row seats, and an automatically-heated steering wheel. Powering the brand-new XT6 is a 3.6-liter V6 engine that produces 310 horsepower, teamed with a 9-speed automatic transmission. Active Fuel Management is standard, which can help reduce fuel consumption by shutting down two cylinders when V6 power is not required. The stylish new crossover also gets the latest in safety technology with features such as forward collision alert, automatic emergency braking, pedestrian detection, front and rear park assist, rear cross-traffic alert and a rearview camera with remote wash. The Ford Explorer is a big deal for the Dearborn-based automaker. Since its introduction in 1991, this seminal sport utility has sold extremely well — almost 8 million units — establishing it as the best-selling SUV of all time. 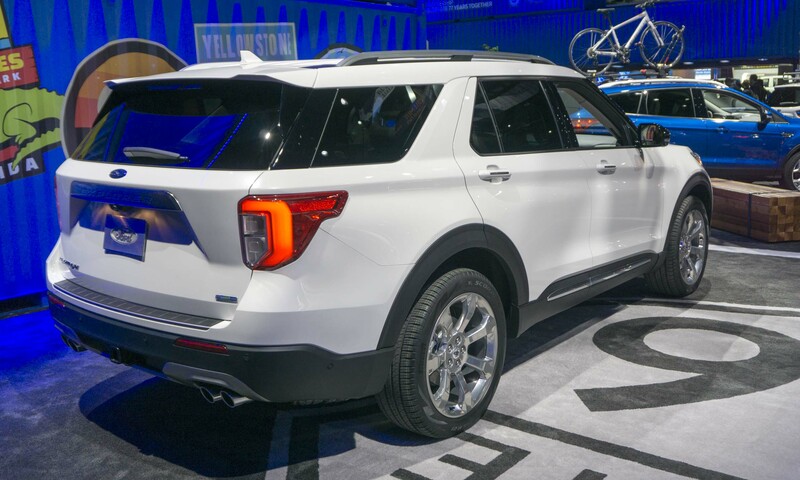 The new 2020 Explorer will be built on an all-new rear-wheel-drive flexible architecture designed to improve ride and handling as well as the vehicle’s overall capability. Through use of high-strength steel and other lightweight components, the new structure is 25 percent stronger while reducing weight by 200 pounds on average. 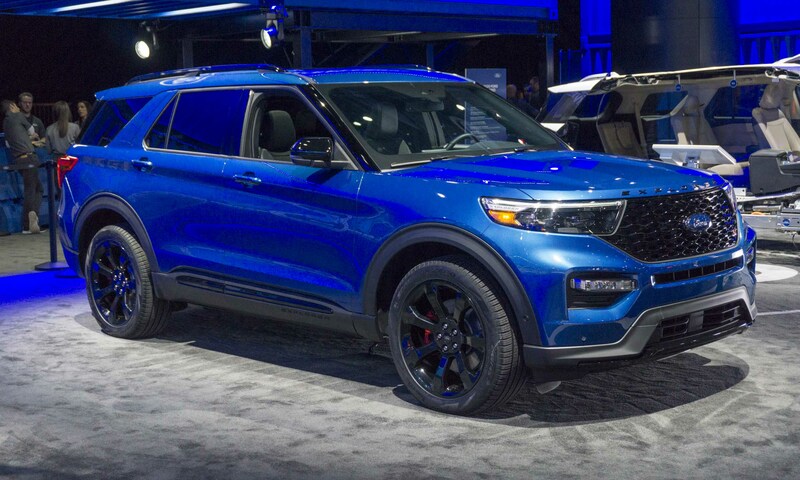 Still recognizable as an Explorer, the new model looks sportier than it has in the past, thanks to a more sculpted body, sloping roofline and shorter overhangs at the front and rear. The refreshed Explorer exterior is certainly important, but much of what’s new and innovative can be found inside. Giving the Explorer a high-tech feel is an optional 10.1-inch touchscreen mounted in portrait configuration — similar to a tablet or smartphone — as well as an available 12.3-inch all-digital instrument cluster. The standard engine in the new Explorer is a 2.3-liter EcoBoost 4-cylinder unit producing 300 horsepower and 310 lb-ft of torque. Also available is a 3.0-liter EcoBoost V6 that bumps power to 365 horses and 380 lb-ft of torque. Both engines are teamed with 10-speed automatic transmissions. Explorer should begin to arrive in showrooms this summer. Along with the completely-new Explorer introduced in Detroit, Ford also adds a hybrid version of this popular SUV to the model lineup. 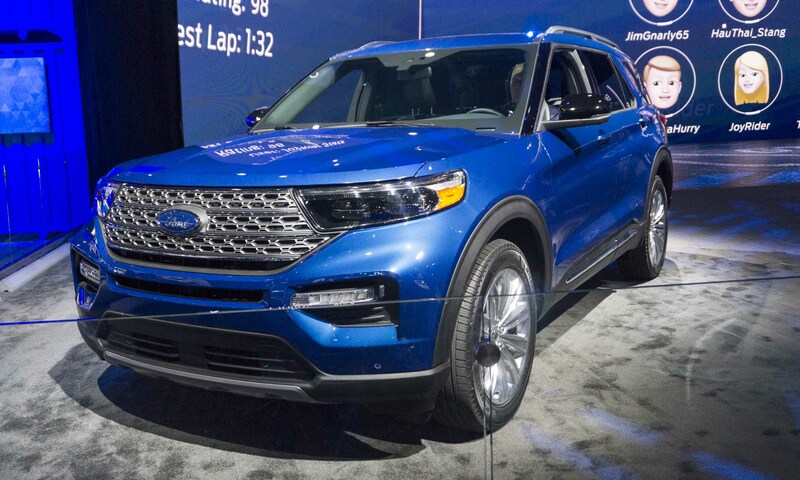 The Blue Oval has never offered a hybrid Explorer before, and the new variant promises to combine the SUV’s impressive capability with the efficiency of a gas-electric powertrain. 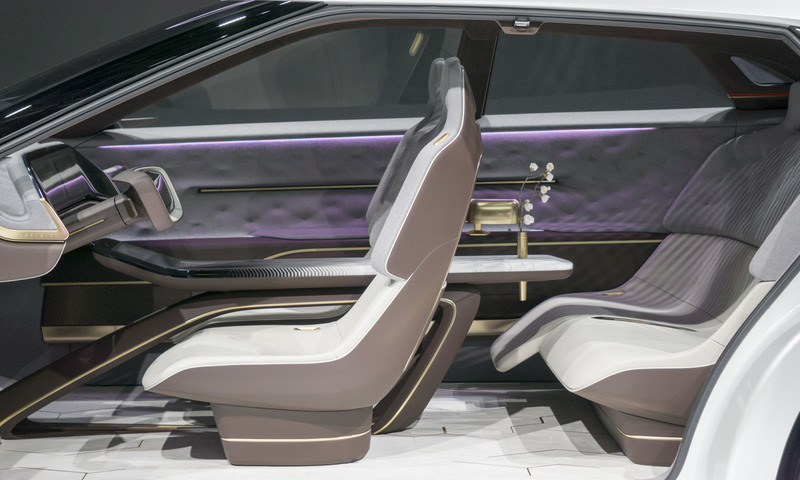 Engineers built the specially-designed liquid-cooled lithium-ion battery pack directly into the chassis below the second-row seats, so passenger and cargo space are not compromised. “Reduced cargo space in hybrids is a thing of the past for Ford customers,” said Bill Gubing, Explorer chief engineer. 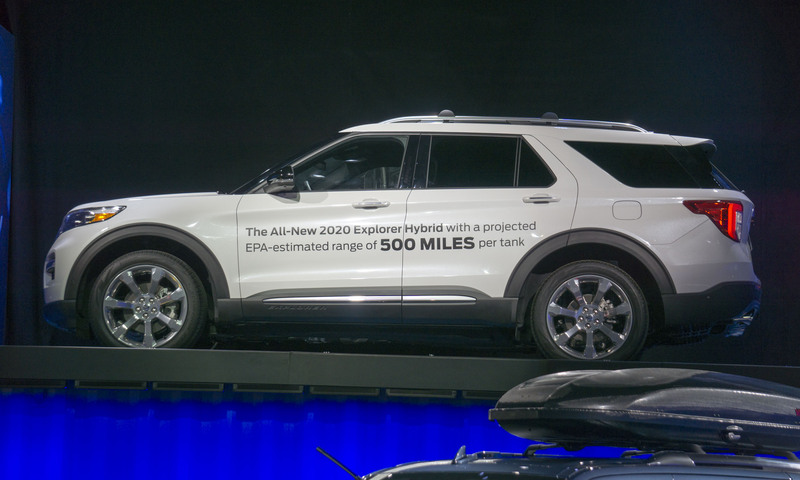 The Ford Explorer Hybrid will only be available in the Limited trim, which means hybrid buyers will drive a well-equipped SUV. The Explorer Hybrid gets power from a 3.3-liter V6 engine teamed with an electric motor and a 10-speed modular hybrid transmission for a combined output of 318 horsepower. Ford is targeting a 500-mile range between fill-ups, which equates to about 26 miles per gallon. Actual fuel-economy figures will be released closer to the on-sale date later this year. 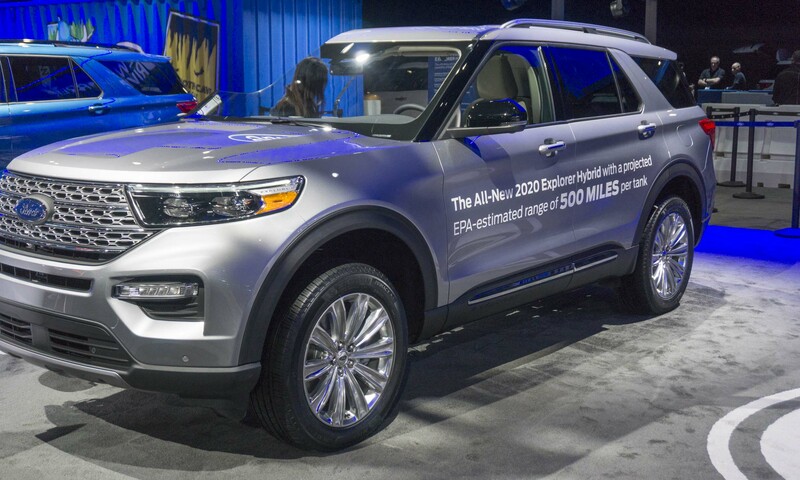 The Hybrid also retains much of the capability found in the standard Explorer, including available 4-wheel drive and an impressive towing capacity of 5,000 pounds. The Ford Performance team is responsible for the most exciting vehicles in the automaker’s lineup; the team’s influence now extends to the company’s SUV offerings. Following the introduction of the Edge ST last year, Ford plans to offer the all-new Explorer in a high-performance ST trim as well. “We designed it [Explorer] to be an ST from the beginning,” said Ed Krenz, Ford Performance chief functional engineer. “There’s no mistaking its ST DNA. It has a performance feel with sustained performance capability and wears an unmistakably ST appearance. More than anything, it’s just a hell of a lot of fun to drive.” The new ST has a sporty interior including a standard 12.3-inch digital instrument cluster, a flat-bottomed steering wheel and leather bucket seats with silver accent stitching. 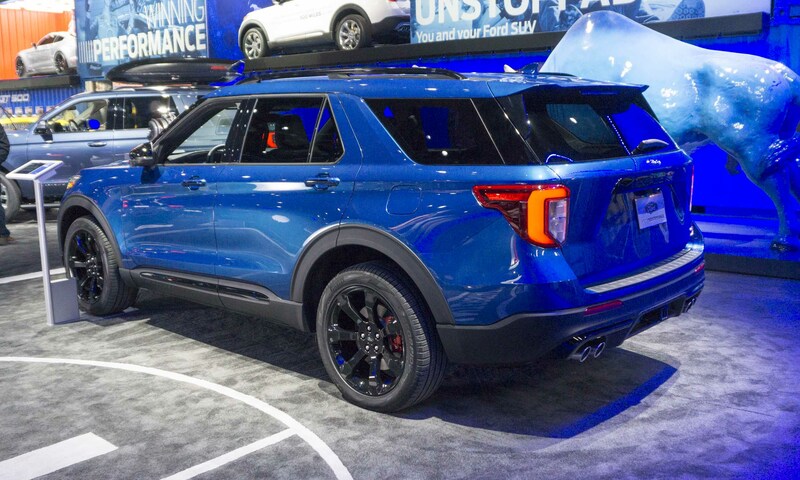 Designers differentiated the ST from the standard Explorer via a black mesh grille and roof rack side rails, and quad exhaust outlets. More than simply a styling exercise, the Explorer ST has the performance chops to back up its standout looks. Power comes from a tuned 3.0-liter EcoBoost engine that is expected to produce 400 horsepower and 415 lb-ft of torque. 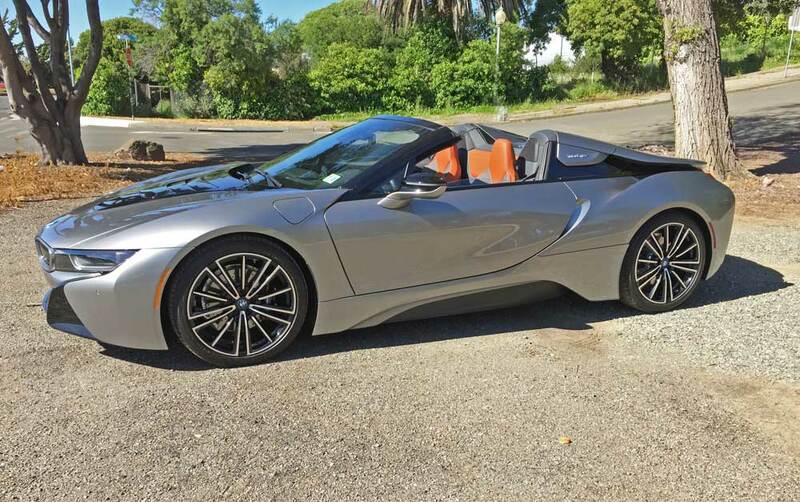 Top speed is said to be around 143 mph — not exactly what folks would anticipate from a large 7-passenger crossover. The Ford Police Interceptor Utility is probably a familiar sight to most drivers — the automaker claims 65 percent of police vehicles on U.S. roads are this Explorer-based vehicle. 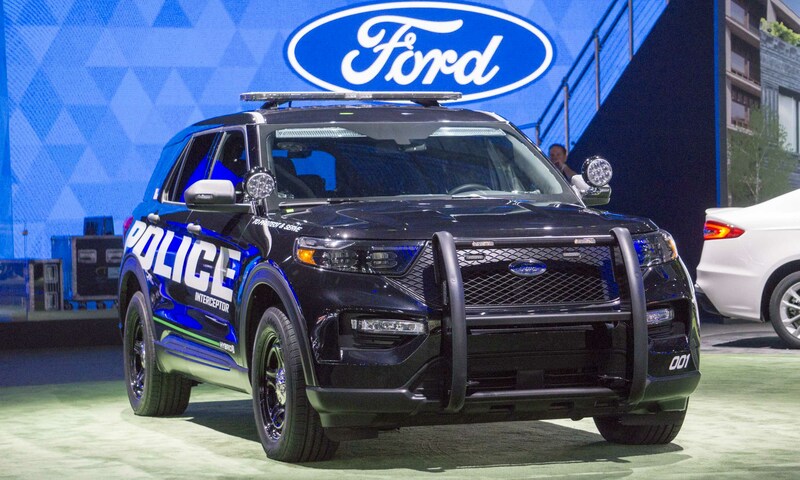 Now law enforcement will get a new ride as Ford introduces the all-new 2020 Ford Police Interceptor. The biggest news is that the new Police Interceptor comes with a hybrid all-wheel-drive powertrain as standard equipment. The police SUV’s hybrid technology is not simply about fuel economy. 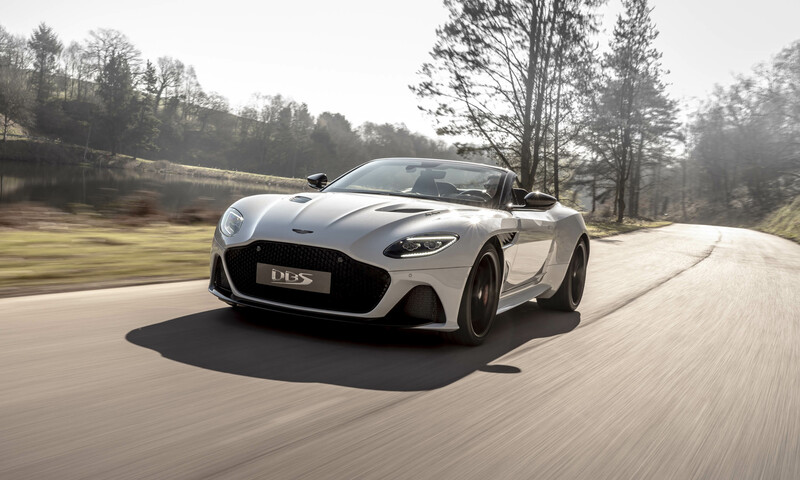 The new powertrain outperformed the older 3.7-liter V6 engine in nearly every test, including better acceleration to 100 mph by almost 5 seconds. Since the batteries are stored below the floor, the Police Interceptor loses no interior room or utility, and the lower center of gravity should improve overall handling. The 2020 Police Interceptor has plenty of new features designed to keep officers comfortable and safe; one of the most innovative is the Police Perimeter Alert. Utilizing sensors integrated into the rear bumper that are typically used for parking or cross-traffic alert, the system can monitor an approximately 270-degree area around the vehicle. It analyzes nearby movements to detect potentially threatening behavior. When such motion is detected, the system automatically turns on the rear camera, sounds a chime, rolls up the windows and locks the doors. Officers can monitor movements on the digital instrument cluster. 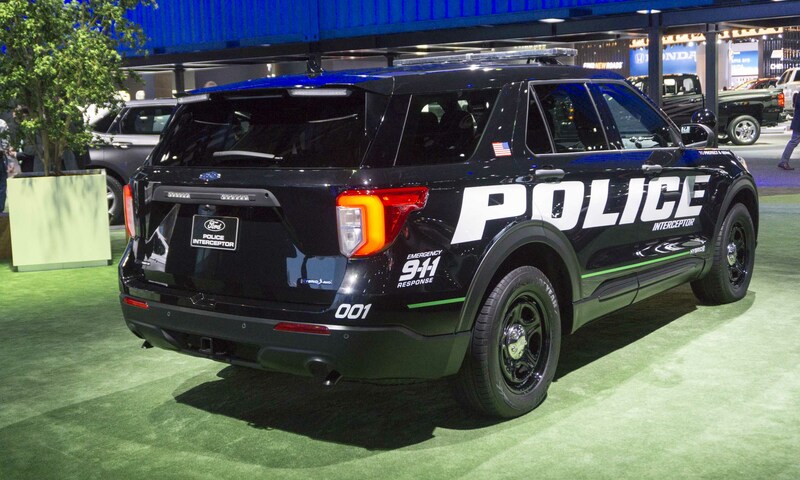 The 2020 Ford Police Interceptor will be available to law-enforcement agencies later this year with either the hybrid powertrain or optional 3.0-liter EcoBoost or 3.3-liter V6 engines. 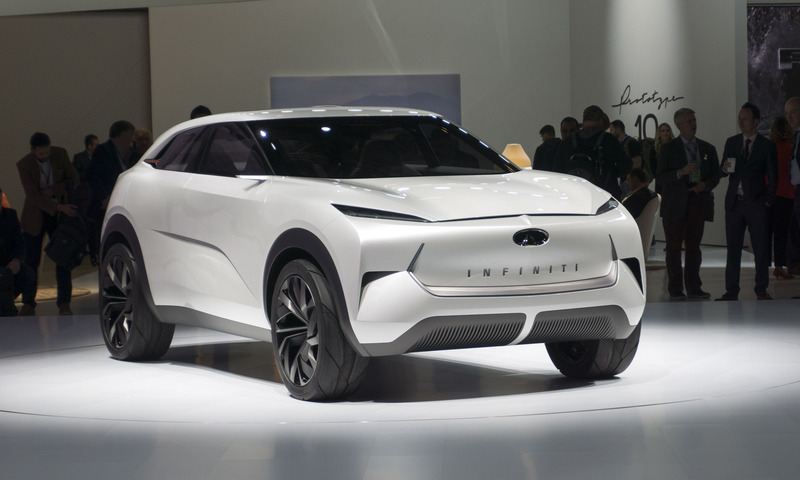 Infiniti debuted the QX Inspiration concept in Detroit as a prelude to an all-electric, all-wheel-drive SUV from Nissan’s luxury brand. A midsize SUV concept, the QX Inspiration introduces a new direction for Infiniti electric vehicles, with design flexibility provided by a new dedicated electric vehicle architecture. Infiniti plans to launch a range of high-performance electrified vehicles that will include fully electric, e-Power and performance hybrid models. The electrified powertrains will be paired with dedicated platforms and vehicle architecture to deliver high performance, range confidence and low emissions. Early Infiniti SUVs such as the 2003 FX were characterized by a long hood and cabin-rearward silhouette, but with the new electric vehicle platform — which positions the drivetrain low and between the axles — the greenhouse can be pushed forward to create more interior room. The cabin of the QX Inspiration is handcrafted using traditional techniques and materials chosen to appeal to the senses. The additional interior room offered by the electric platform allows seating and configuration that feels similar to a lounge. A tall center console flows from the dash, between the front seats to the rear seat, giving the console more of a tablelike feel — especially since it also incorporates a flower vase. 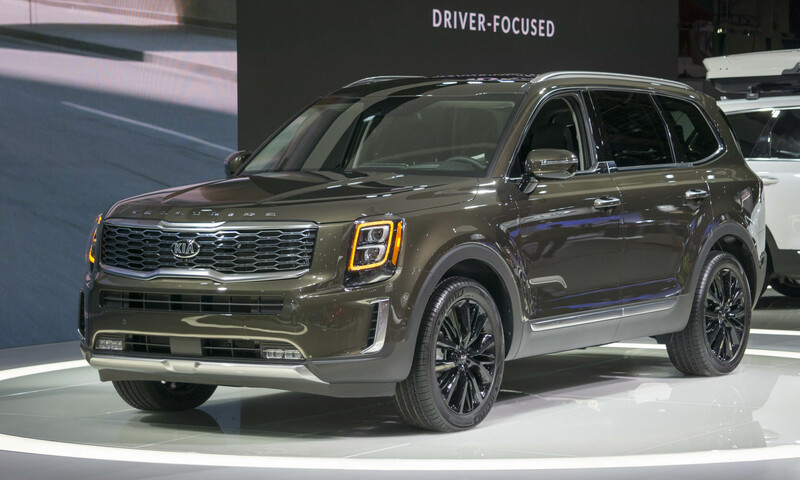 The all-new 2020 Kia Telluride debuted in Detroit — a midsize SUV that is the largest model ever offered by Kia — with seating for up to eight occupants. 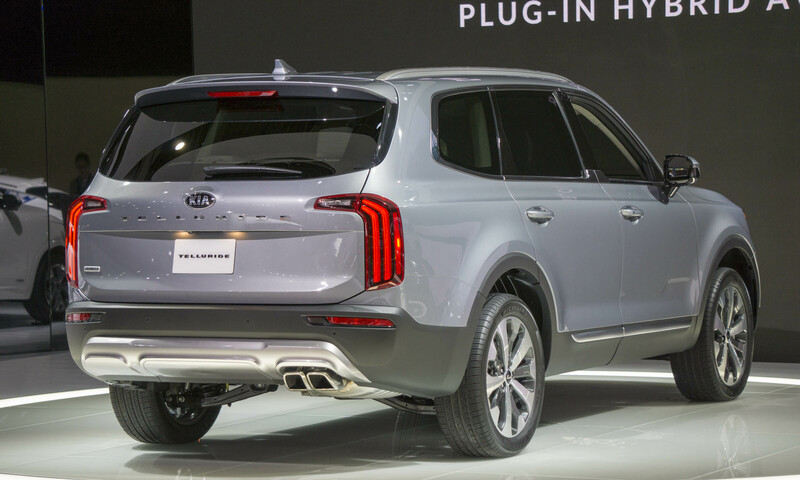 Created specifically for the U.S. market, Telluride was designed at the Kia Design Center in Irvine, California, and will be produced at Kia’s manufacturing facility in West Point, Georgia. The Telluride’s intent is to be big, bold and boxy to convey power and capability — which it does in spades. The SUV features a long hood, wide grille, stacked headlights, L-shaped taillights and long Telluride nameplates across the front edges of the hood and tailgate. Telluride is powered by a 3.8-liter engine producing 291 horsepower and 262 lb-ft of torque, combined with an 8-speed automatic transmission and an available active on-demand all-wheel-drive system that can distribute torque between the front and rear axles. The driver selects from four regular drive modes: Smart, Eco, Sport and Comfort, as well as Snow and AWD lock. Self-leveling rear suspension is optional. Inside, Telluride offers a leather-wrapped steering wheel; optional heated and ventilated seats for the first and second rows; available double-stitched, quilted leather-trim seats; simulated brushed metal and matte finish wood; and reclining third-row seats. 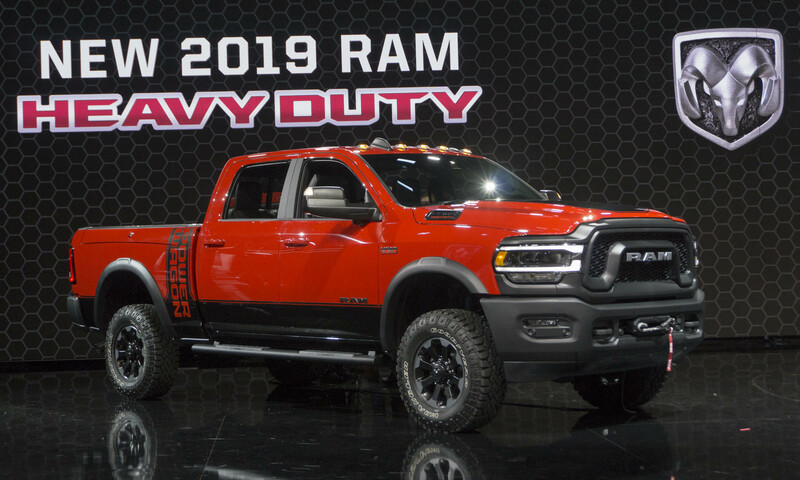 The heavy-duty truck segment is an extremely competitive one — since there are only four major players — but the new Ram Heavy Duty is out of the gate with some pretty big numbers. Most impressive is 1,000 lb-ft of torque produced by a new Cummins diesel engine, which translates into a maximum tow rating of more than 35,000 pounds. This big truck is built on an all-new frame that is 70 percent high-strength steel with six separate crossmembers. 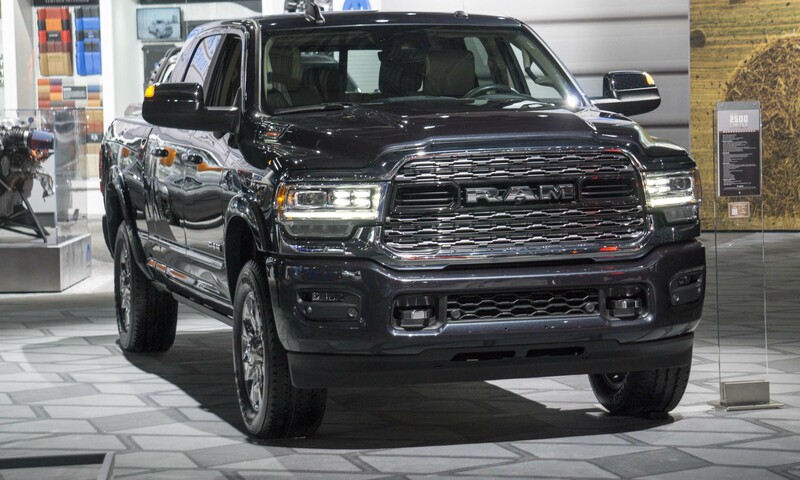 While this makes the new Ram stronger, use of lightweight materials in the frame, powertrain and hood (which is aluminum) reduce overall weight by as much as 143 pounds. 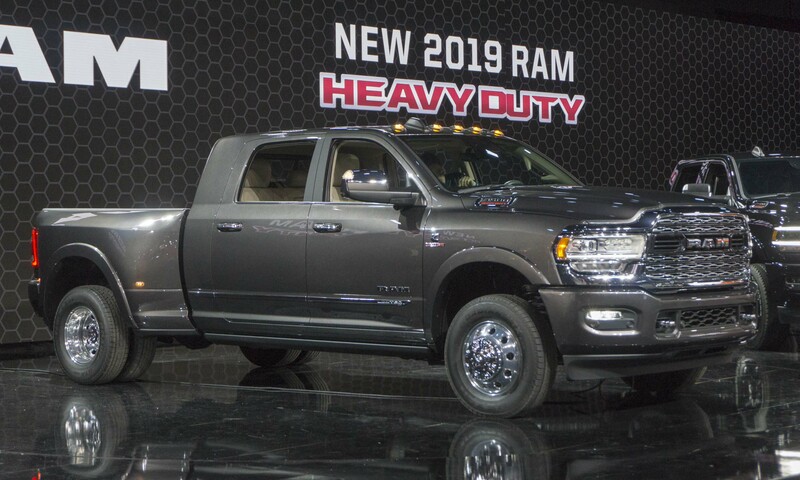 The new Ram Heavy Duty continues its big-rig looks with a larger and more aggressive grille available in six styles depending on trim level. The Ram Heavy Duty is available with the brand’s strongest diesel powertrain: a 6.7-liter Cummins turbodiesel. Standard output in the Ram 2500 is 370 horsepower and 850 lb-ft of torque. In the Ram 3500 output gets an increase to 400 horsepower and a massive 1000 lb-ft of torque. The standard engine for the new Ram Heavy Duty is a 6.4-liter HEMI V8 producing 410 horsepower and 429 lb-ft of torque. Towing capacity varies based on bodystyle, powertrain and other criteria, but a Ram 3500 2WD Regular Cab equipped with the Cummins diesel can tow up to 35,100 pounds or carry 7,680 pounds of cargo. 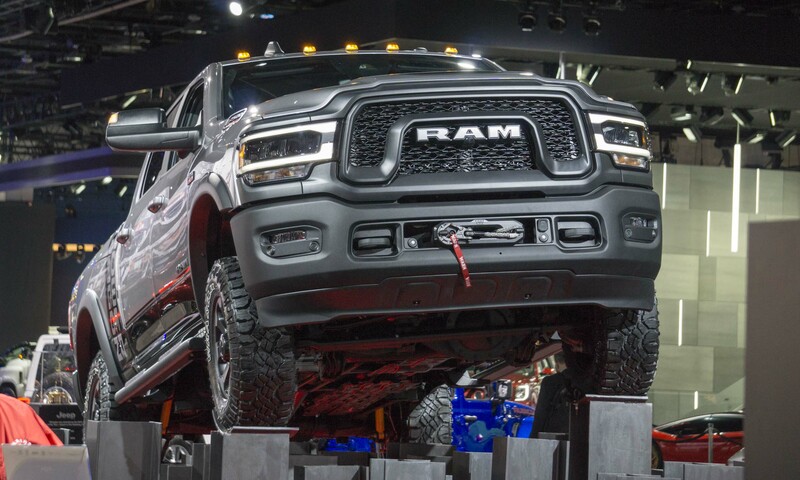 One of the most off-road-capable pickup trucks available, the Ram 2500 Power Wagon receives some major upgrades for the 2019 model year. The new Power Wagon takes advantage of the Ram 6.4-liter 410-horsepower HEMI V8 engine and 8-speed automatic transmission to improve performance in a variety of conditions. Frequency Response Damping shocks and available active air suspension add to the Power Wagon’s capabilities and aggressive look. The new Power Wagon comes equipped with plenty of gear designed for off-road use. 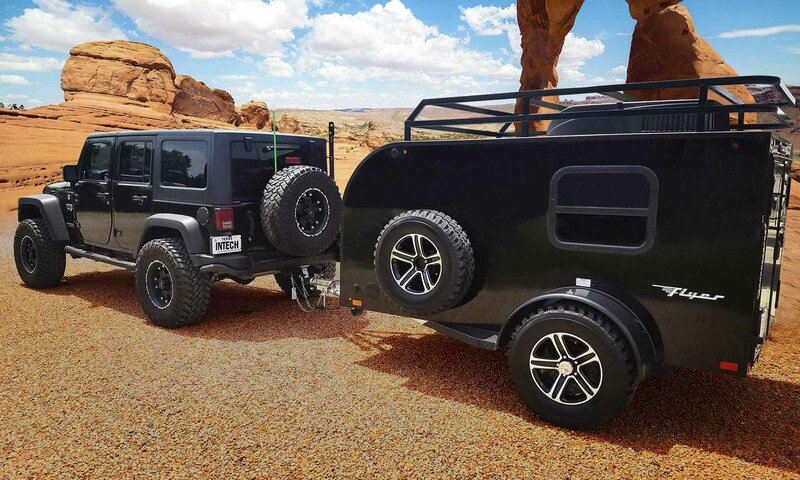 Standard equipment includes electronic locking front and rear differentials, a manual part-time transfer case and skidplates, as well as Bilstein shocks, a disconnecting front stabilizer bar, and Goodyear Wrangler Duratrac all-terrain tires. The integrated Warn winch now uses a synthetic cable that saves weight without compromising capability, retaining its 12,000-pound capacity. The post 2019 Detroit Auto Show: New Trucks and SUVs appeared first on autoNXT.net.